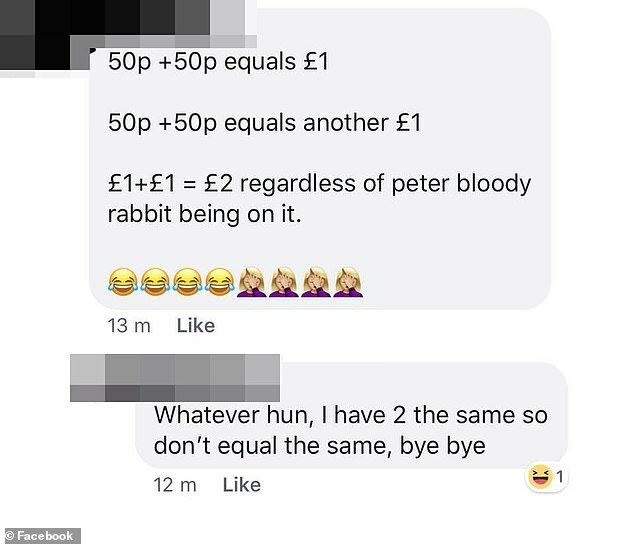 A mathematically-challenged entrepreneur has been mocked after trying to sell four rare 50p coins for a grand total of £1. 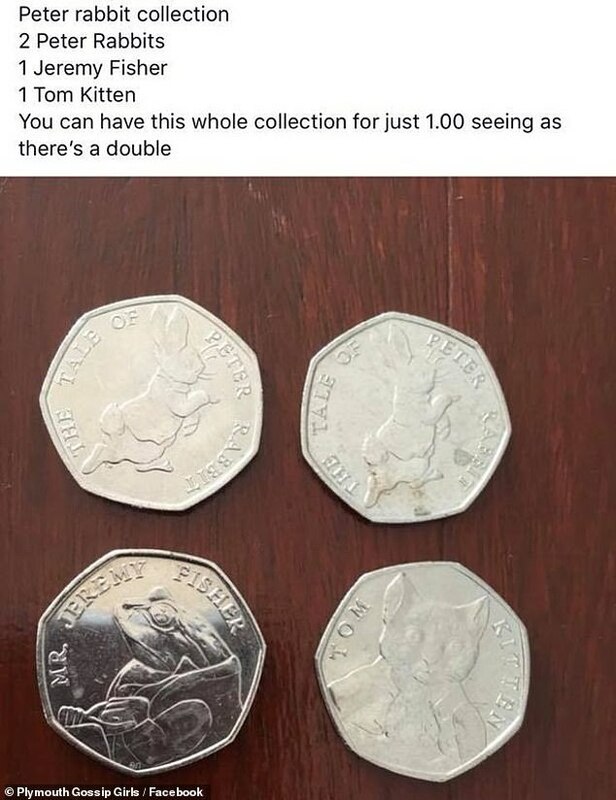 The unwitting woman uploaded a picture of four 50p coins from the new Peter Rabbit collection on a Facebook group. The set includes two Peter Rabbit coins, one Jeremy Fisher coin and one Tom Kitten, all of which are legal tender. But her business sense was called into question by other Facebook users when she offered the coin collection for just £1 because she wanted to give people ‘a good deal’. 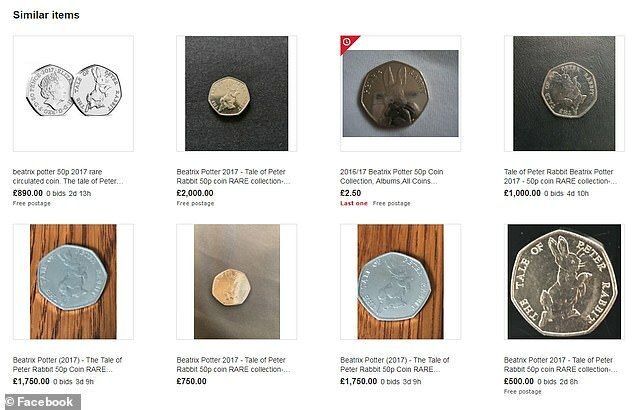 Others pointed out that the collectible coin was being sold by other users for upwards of £1,750, with a similar coin from 2016 selling for £5,000 earlier this year. 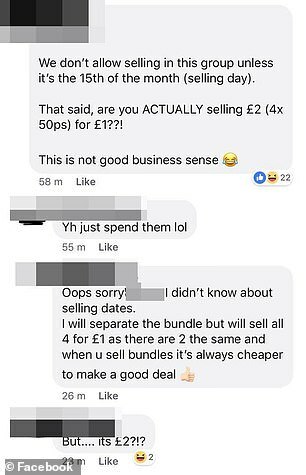 She posted: ‘I will separate the bundle but will sell all four for £1 as there are two the same. When met with the response ‘but it’s £2’, the woman argued the lower price was because two of the coins had the same design. The post was uploaded onto the Plymouth Gossip Girls Facebook page – with names blanked out – with many people commenting on the absurd advertisement. 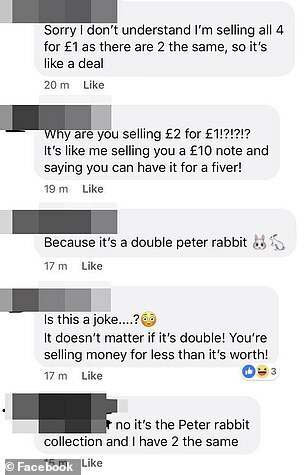 One person wrote: ‘Why are you selling £2 for £1? Another commented: ‘Is this a joke? The seller later wrote: ‘That’s it I’m turning comments off, I was just selling my collection.